With limited employment opportunities and an economy heavily dependent on agriculture and tourism, Tunisia continues to struggle with high levels of unemployment and poor living conditions. As a result,15% of the population are now living in poverty. Islamic Relief is working in the area to offer local families seasonal and development relief to provide critical support. With high unemployment and inflation, the onset of revolution in 2011 led to a period of political and economic instability. Now after the implementation of a new political system, many Tunisians continue to face the same challenges. With youth unemployment at 35%, young people, in particular, are struggling to find work. 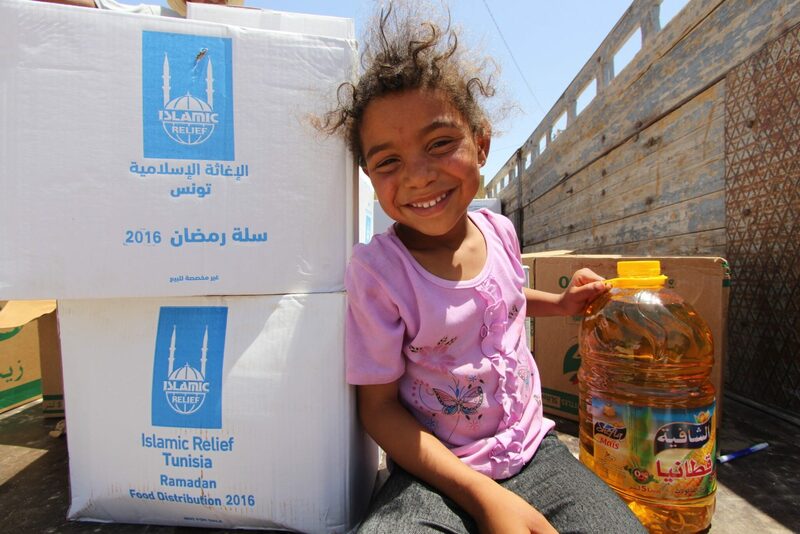 Islamic Relief provides a range of seasonal and development assistance to address food poverty and empower families on low incomes or without work. We have introduced life-changing livelihood projects for farmers who had lost everything in storms and provided materials and tools to repair greenhouses to secure an abundant harvest. During the revolution in Libya, Islamic Relief was also one of the first aid agencies on the ground in border areas including Tunisia. We offered essential emergency relief to refugee families at border camps, offering shelter, food, clean water, and hygiene kits. Play areas and classes were also arranged for children, some children were also enrolled into local schools. To continue to help impoverished families in Tunisia, we provide families with winter aid including blankets and food whilst also distributing Ramadan and Qurbani food aid on a seasonal basis. Islamic Relief also supports a range of educational, livelihood, health and sanitation projects to vulnerable migrants from Libya and local children.